MIXING: Our B Room was added in 2010, and has since become one of the premier mixing rooms in Phoenix. 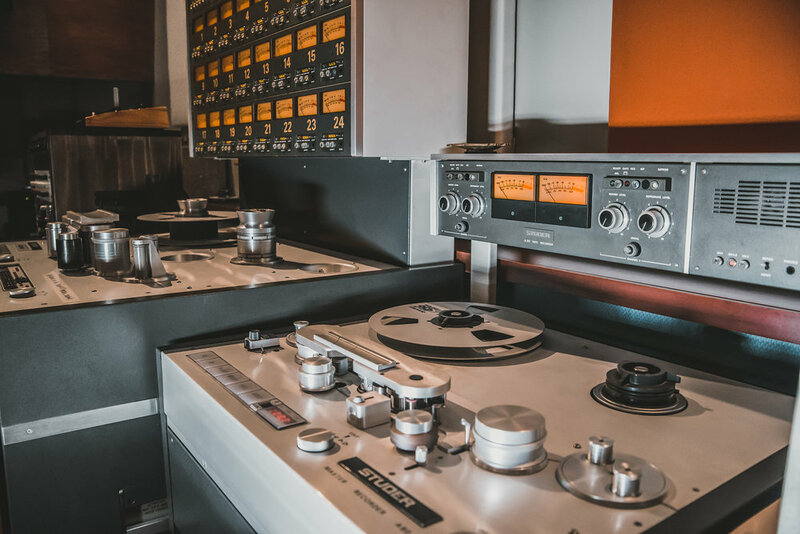 Completely isolated from our tracking rooms, B houses a Trident 80B with Uptown Automation, a Studer A800 24 Track 2" an A80 2 Track 1/2", BURL converters, classic outboard gear, multiple monitoring options, and HD ProTools. Its straightforward layout makes a great plug and play enviornment for a mix of any style and size.